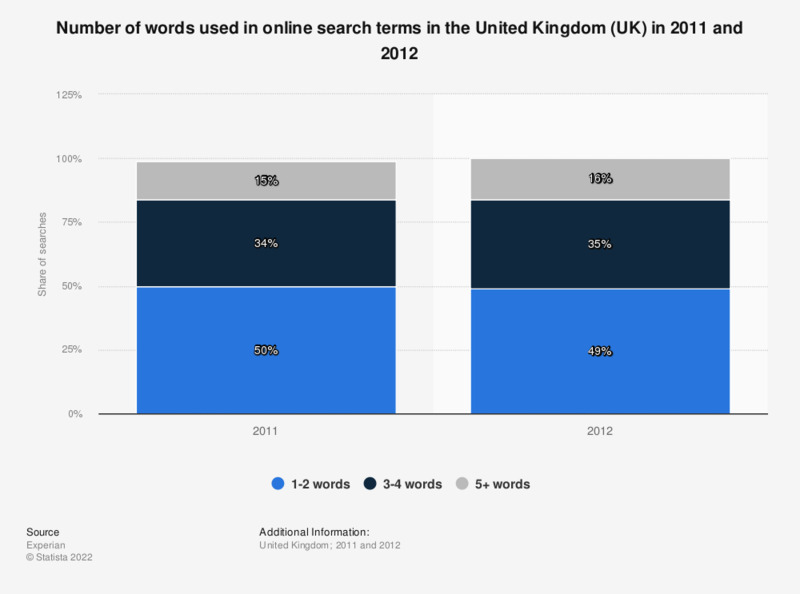 This statistic shows the number of words used in online searches in the United Kingdom in 2011 and 2012. In 2012, 34 percent of searches used 3 to 4 words. This was an increase from 34 percent of searches in 2011.